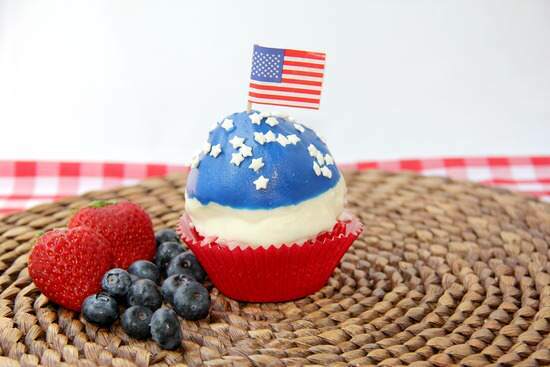 Berries & Cream Patriotic Dipped Cupcakes, an easy red, white, and blue cupcake recipe that is the perfect dessert for 4th of July and summer parties! 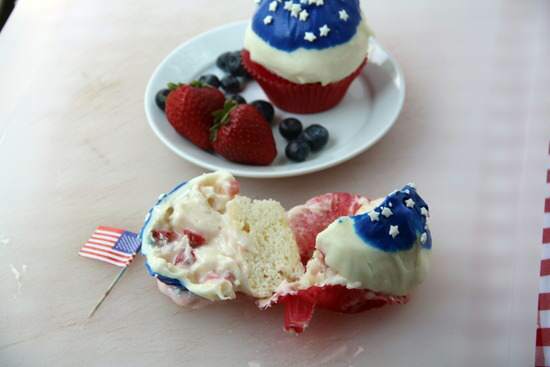 Berries & Cream Patriotic Dipped Cupcakes, an easy 4th of July or summer cupcake recipe with red, white, and blue. I can’t believe 4th of July is less than a week away! 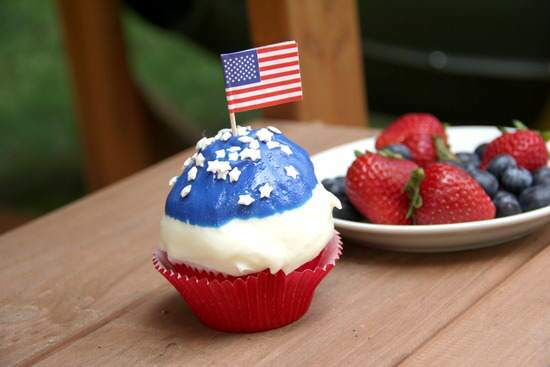 So many red, white, and blue treats out there and so little time to try them all!!! I’ve had a lot of requests lately for MORE dipped cupcakes. In case you missed the first two, there was the Chunky S’mores Dipped Cupcakes which had a graham cracker cake and a marshmallow frosting with chocolate chunks and dipped in chocolate. There was also the Green Velvet Dipped Cupcakes that had a green velvet cake, cream cheese frosting, and dipped in green colored chocolate. 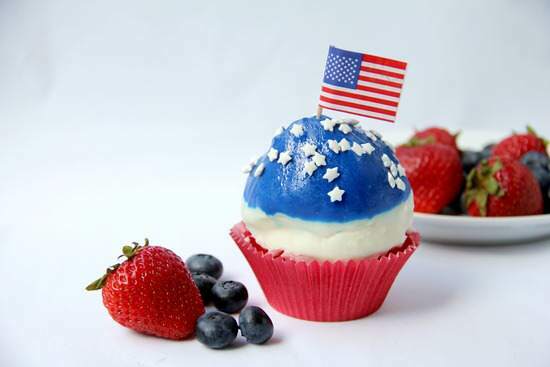 Now for 4th of July we have Berries & Cream Patriotic Dipped Cupcakes! I think I’m obsessed with dipped cupcakes!!! I actually have quite a few more ideas of dipped cupcakes I want to try over the next few months so I’ll apologize now for the never ending supply of dipped cupcake recipes! Let me start off by admitting, this was actually the SECOND time I tried making today’s cupcakes. My first attempt was an absolute failure. FAILURE. Attempt two was better and although I’m happy with the results, they didn’t quite turnout as good as I pictured in my head. But they’re still really good, it’s just my type A personality so don’t mind me. 3). 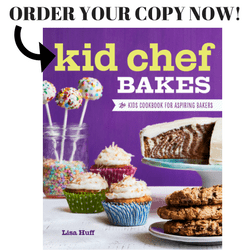 Do NOT add too much fruit to the frosting and make sure the fruit is VERY dry (I mean REALLY REALLY dry) or your frosting might get soupy (but on the bright side, your kids will be happy that they can eat all the soupy frosting that you were going to dump in the garbage). I should have known better…DARN! 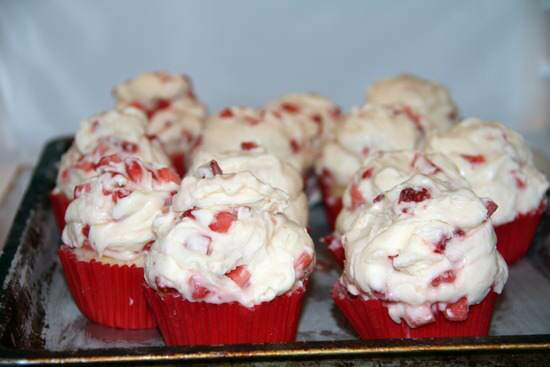 To start off with, I used a cake mix for my cupcakes and for the most part followed the directions on the box. 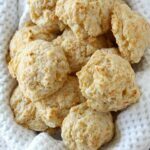 Instead of oil though I substituted melted butter, and I added some finely chopped white chocolate to the batter. 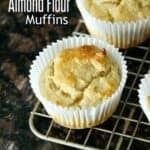 You can use your favorite cupcake recipe or omit the white chocolate. I just happened to have some on hand and thought I’d throw it in. Fill the cupcake liners about 2/3 to 3/4 full and bake as directed on the package. Be sure to let them cool completely before frosting. 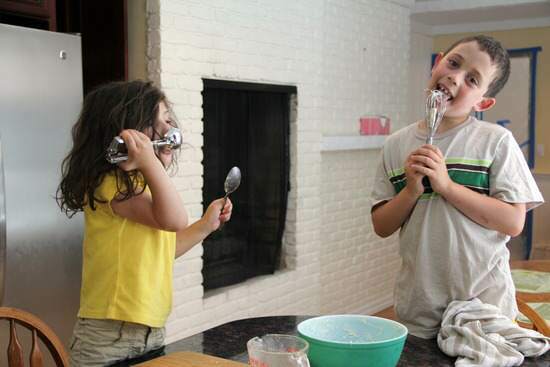 While the cupcakes are baking or cooling, start preparing the frosting. I used strawberries (we’re getting lots of good California strawberries lately! ), but you can use blueberries, raspberries or any combination of berries BUT be sure the fruit is VERY dry. Refrigerate the frosting as needed so that it stiffens, then pile on top of cupcakes. I used an ice cream scoop for the frosting then molded the frosting with my hands. Put the cupcakes back in the fridge to let the frosting firm up a little again while you prepare your melted chocolate or candy melts. If you want to see more pics on how to dip the cupcakes check out my previous dipped cupcakes Chunky S’mores Dipped Cupcakes and Green Velvet Dipped Cupcakes. If you have leftover chocolate or candy melts when you’re done, pour it on a piece of waxed paper, let it harden (refrigerate if necessary) then break it up and store in a plastic bag for next time. I used red and white chocolate/candy melts and made the blue color by dying some of the white. I used a special candy food coloring to dye the white melts. If you want to dye chocolate make sure you use a dye that is FOR chocolate such as an oil based dye! Regular water based food dyes will seize the chocolate. You may have to go to a cake/candy supply shop to get oil based dyes or special colorings for chocolate. 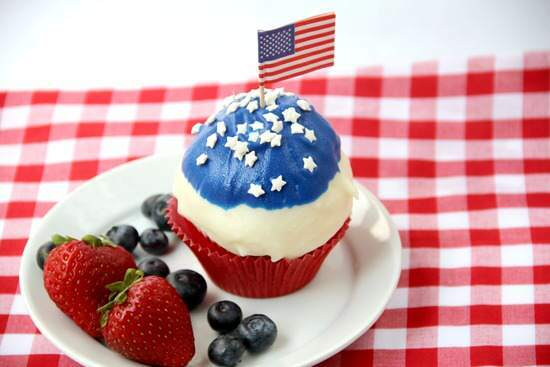 There are lots of great 4th of July decorations that you can use to decorate the cupcakes. I stuck flag toothpicks into the top of some of the cupcakes. I also had my kids pick the white stars out of a multi-color assortment of sprinkles. This particular task kept them busy for a long time so might have to remember that trick!! 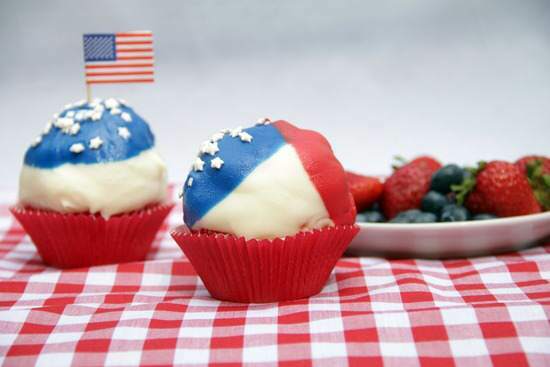 and Berries & Cream Patriotic Dipped Cupcakes were born!!! I should mention, If your cupcakes didn’t turn out, don’t fear…just mash them all up and make trifles out of everything! No one will know!!! I hope it doesn’t come to that! 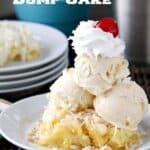 A fun treat for 4th of July! If it's not 4th of July, no problem, just skip the red, white, and blue! Decorations such as flags sprinkles, etc. Preheat oven to 350 degrees F and line cupcake pans with 24 paper liners. Mix together cake mix, water, butter, and egg whites with electric mixer on medium speed or with whisk until combined. 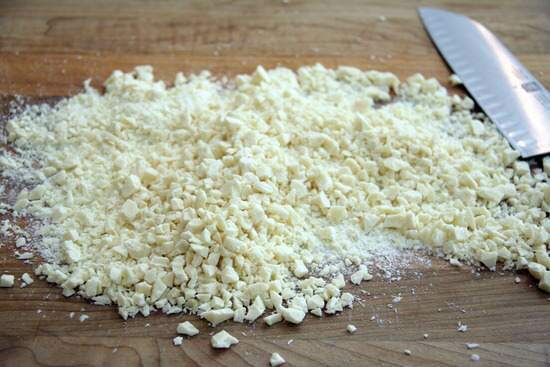 Stir in white chocolate. 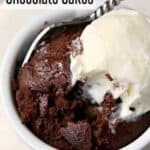 Spoon cake mix into prepared pans. 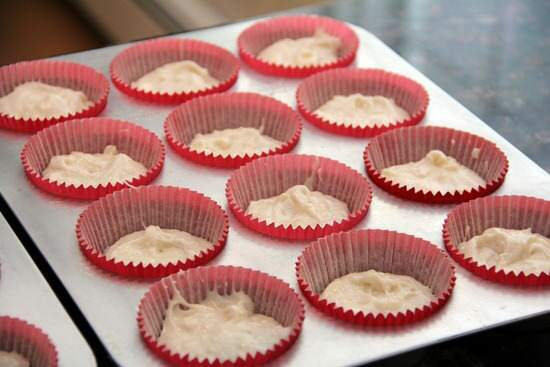 Bake cupcakes for about 18-22 minutes or until golden brown and toothpick inserted comes out clean. Cool completely on wire racks. Meanwhile, prepare frosting by mixing together cream cheese and butter with electric mixer on medium speed until well combined. Mix in vanilla then powdered sugar. 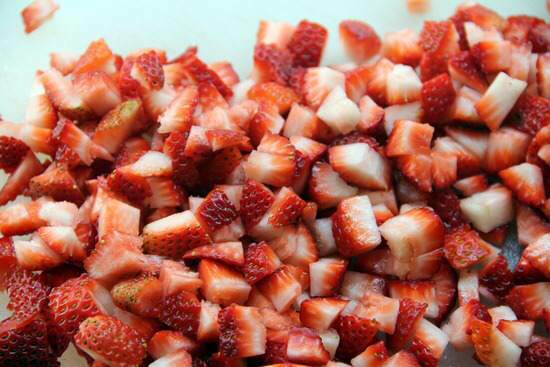 Gently fold in strawberries. 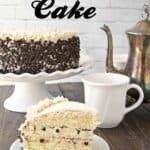 Refrigerate frosting for about an hour or until firmer. 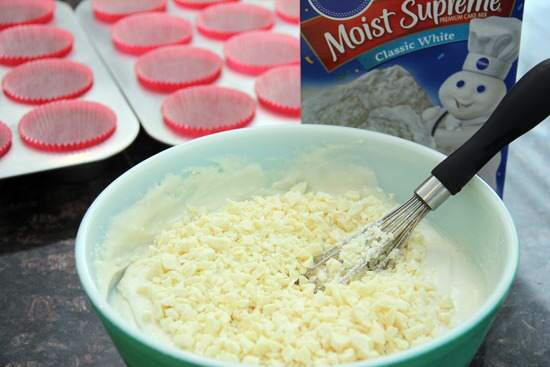 Spoon frosting onto cupcakes (refrigerate or freeze as necessary to keep frosting firm). Dip in melted chocolate or candy melts and decorate as desired. SNAPPY TIPS: Make sure your fruit is VERY dry before stirring into the frosting. If they are at all wet, the frosting will become soupy. If you don’t want to dip the cupcakes, you can cut the frosting recipe in half and just frost the cupcakes. SNAPPY SUBSTITUTIONS: You can substitute your favorite white cake recipe for the cupcakes. You can omit the white chocolate if desired or substitute other varieties of chocolate if you wish. I love these cupcakes! I am having a Red, White and Blue Linky Party and would love it if you would join in on the fun by adding your link. These are AWESOME!! 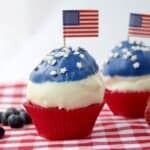 I would LOVE it if you could link these up with my 4th July linky! These are so darn adorable and the best thing is, with all those berries I bet they taste better than they look. Have a great 4th! These cupcakes are so cute and festive! Have a happy fourth! 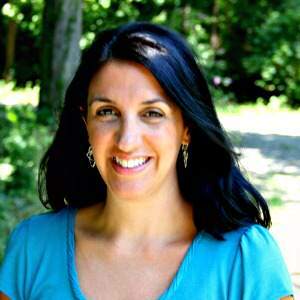 Great Job Miss Snappy! 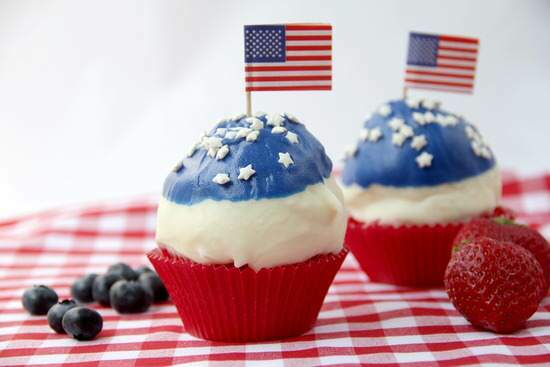 Love them, and the patriotic theme…I think I might have to make these for our 4th of July BBQ! Those are so cute! I do not have the patience to do this, so I will have to pay you to ship me a few dozen. Thanks Lisa! I’m sooo addicted to dipped cupcakes! Sounds yummy *and* fun! 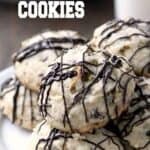 I will have to try them this weekend!!!! Thanks for sharing! Thanks MIssy! Hope they turn out ok for you!